General Appearance: Sturdy and well muscled. It's wiry coat needs to be groomed every few months. Size, Proportion, and Substance: Height-males, 23 inches at the shoulders; female, slightly less. Weight between 45 - 50 lbs. 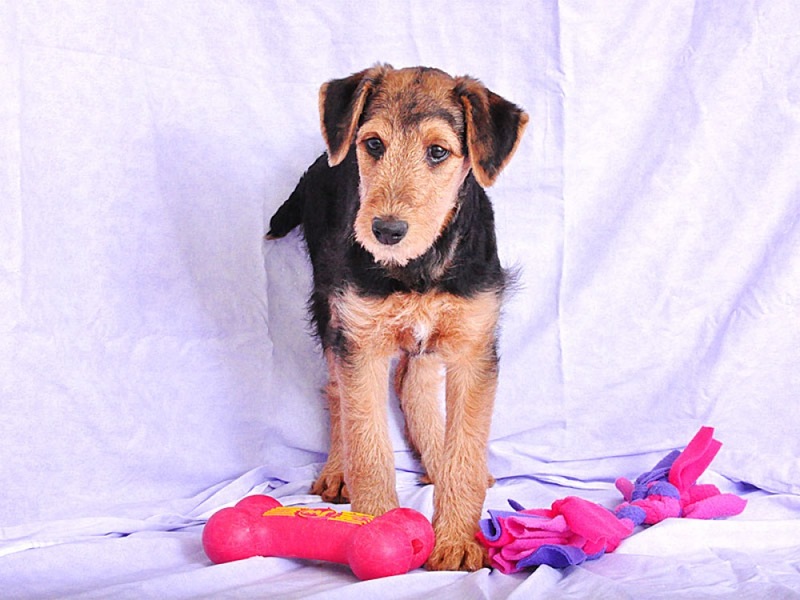 Background: Airedales are kindhearted dogs that like making friends, and playing with children. They can be protective of their humans and make great watchdogs. Their intelligence and eagerness to please makes the Airedale a pleasure to train. As a working dog, the Airedale was bred to hunt vermin, but they have also been successful as police dogs, due to their confident personality. Airedales are high energy dogs, but very happy when given lots of exercise. The Airedales wiry coat sheds very little and may be groomed every 2-3 months.